The y try to put things in such a manner that could ensure them to be at the center and they also love to get attention from others. They are quite practical and witty in their lives and would make you feel really great through their intelligence. They don’t want to get shackled by any means and try to be as spontaneous as possible. Choosing a gift for Aquarius needs prior information regarding their personality and the way they react and behave to certain things. They are more prone to enjoying subtle and gentle gifts and behavior rather than hard shelled ones. 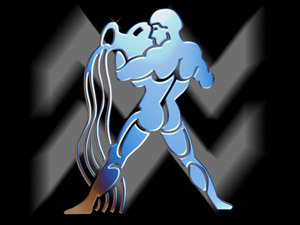 Arts, culture, history and nature are loved by Aquarius and they find them to be quite progressive. They are quite socialite but at the same time they love to confine themselves to close talk between the person they love. If you can a bit unusual and out of bounds in selecting gift for Aquarius, you could make them happy. It doesn’t need to be a costly or princely gift for Aquarius, but it must be something that makes them feel for it. Wrapping the gift is never a priority for Aquarius, but giving the gifts directly would certainly fade the charisma of the gift. With the stated facts, if you still wonder what exactly you must give Aquarius to make them happy then you could check the stated items. This would let you have a better idea of what exactly you can pack as gifts for Aquarius. Aquarius love to get something that is unique in nature and has some sort of eccentric values associated with it. You could give them a piece of art or craft to make them feel good. You could also thing of gift certificates, a beautiful crystal, some puzzles with mystique and suspicious elements in them. Astronomy is the subject that most of the Aquarius tends to love. You could make them very happy by giving a telescope or a mere binocular to make their eyes see far behind and explore newer things. Gadgets and new technology excites them a lot. Hence, you need to keep an eye on latest developments of the electronic industry and make them surprised by giving one of them to Aquarius. Software, video game, new PDA devices and many others could well be a nice gift for Aquarius. Fashion and fashionable clothes are among the major weaknesses of Aquarius. They tend to follow the latest fashion and clothes and accessories matching the trend would surely make them happy. You could also make them happy by not gifting them, but appreciating what they have worn. As Aquarius love adventures and art both at the same time, it is good to offer them the tickets of some music concerts or theater shows. You could take them to museums, art galleries, painting exhibitions and in many other places where art and culture is worshiped.